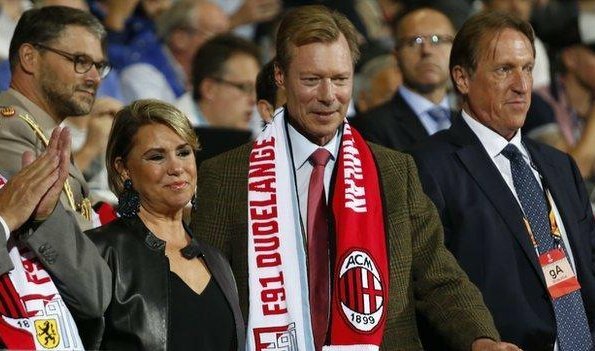 Yesterday evening, Grand Duke Henri and Grand Duchess Maria Teresa came to Jos Nasboum Stadium to watch the match played between F91 Dudelange and Milan in UEFA Europa League and to support the Luxembourgian team. In UEFA Europa League Group F match, Milan won the match by 1-0. F91 Dudelange made history by becoming the first club of Luxembourg to reach the Europa League group stage. As always, Grand Duke Henri demonstrates such panache...lucky Maria Teresa! I agree, he’s a dreamboat! Agree he gets better with age.